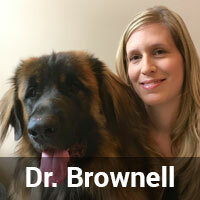 Dr. Day joined the team in May, 2011 after having graduated from the DVM program at the University of Guelph. Since then, Dr. Day has been a lead veterinarian at the clinic and in the spring of 2017, Dr. Day jumped at the opportunity to lead the Doncaster team. She has since been working as the Medical Director of the Doncaster Animal Clinic. 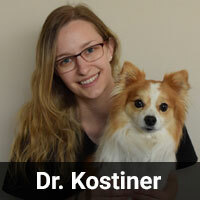 She has a strong passion for surgery and keeps up to-date with the newest and most recent advancements in veterinary medicine and surgery through continuing education. In 2011, Dr. Day completed the top continuing education course in dental surgery. She also has a special interest in cardiology, dermatology and preventative medicine and participates in annual conferences and is an advocate of the fear-free approach. 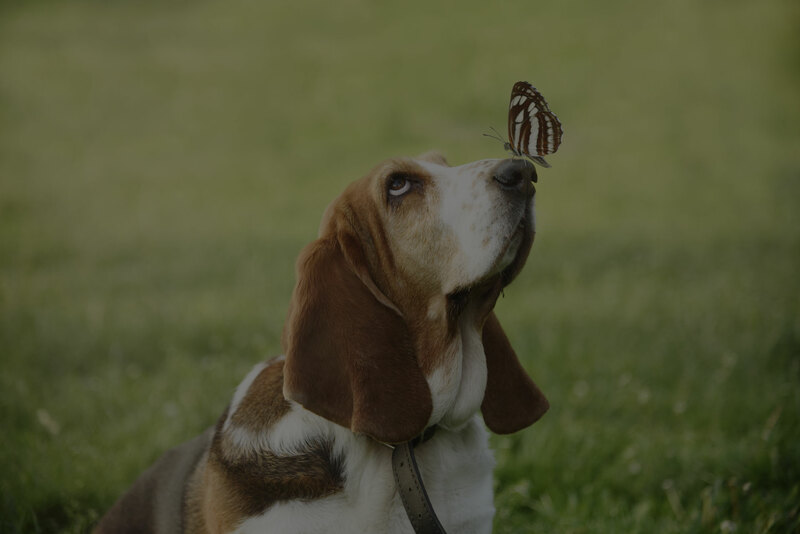 The importance of the human-animal bond is the foundation of Dr. Day's practice philosophy, which enables her to practice and maintain the highest standard of veterinary medical care. Her passion extends to our client families and she insures understanding and knowledge translation through fostering communication in a warm and friendly manner. 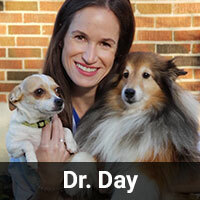 Very simply, Dr. Day absolutely loves caring for your furry family member. When Dr. Day can't be found at Doncaster, she is spending time with her husband, Hrvoje, and two children, Luka and Arwyn. Dr. Day's family also includes her sheltie, Kammy, her Jack-Chi, Khyber, and 2 black cats, Tristan and Tauriel. When she has a spare moment she also greatly enjoys family trips to the cottage, running and reading. Dr. Sapna Malwal was born and raised in Montréal. She obtained a Bachelor of Science in Psychology at St. Lawrence University, and then completed her Doctorate of Veterinary Medicine at Tufts University School of Veterinary Medicine. After graduation, she went on to complete a one year internship in small animal medicine at North Carolina State University before moving to British Columbia to work full time at an emergency/specialty hospital, She moved to Toronto 5 years ago to be closer to her family. Dr. Malwal strongly believes in compassionate care for all animals and prides herself on keeping up with the latest veterinary CE and research. She has a special interest in internal medicine, pain management/hospice care, emerging diseases, and holistic medicine. In 2012, she completed a one year course in veterinary acupuncture with the International Veterinary Acupuncture Society. Outside of veterinary medicine she enjoys reading mysteries, swimming, yoga, and traveling. She has lived and worked in Kenya, Malaysia, Thailand and Costa Rica, and has visited 6 continents (she hopes to add Antarctica to the list one day!). She lives in Toronto with her husband Eric and an orange tabby cat named Mango. Graduated in 2008 from the Western College of Veterinary Medicine, and has since been working in small animal medicine, joining our team in August of 2015. She is happy to be working with a team devoted to offering the current gold standard in veterinary medicine. She has a special interest in behaviour and preventative medicine. Outside of work, Dr. Brownell enjoys time spent with her husband, Kyle, and daughters, Joscelyn and Olyvia, here in Thornhill as well as up at their farm where they grow wild and organic foods. The whole family loves to participate in dog related activities such as, obedience, conformation, carting, and skijoring, just to name a few. Currently, they share their home with a Greater Swiss Mountain Dog (Vern), a Leonberger (Larry), a Ragdoll cat (Tia), an Eclectus parrot (Ivan), a cockatiel (Luna), and a variety of saltwater fish. Morgan joined the Doncaster team in August of 2013. She graduated from the Veterinary Technician program at Georgian College in October of 2011. She enjoys providing quality care to our furry friends who can't always tell us what is wrong. She has recently moved into the role of Technical Manager but will always practice as a technician as that is where her passion is. She currently has no pet's at home but hopes to adopt soon. 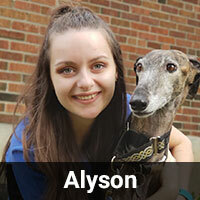 Alyson has been part of the Doncaster Animal Clinic team since January of 2015. She grew up in Thornhill and has always had a passion for animals. She graduated from Seneca College in 2013 from the Veterinary Technician program and obtained her RVT status shortly after. She strives to make every patient that walks trough our doors as comfortable as possible during their stay. In her spare time she enjoys spending with her two dogs, Luke (Galgo Espanol) and Aspen (Jackchi) as well as her rescue cat, Oakley. A recent return to the Doncaster family, Laura was part of the practice from 1996 to 2008. After leaving here, she spent time working in a variety of animal hospitals, including the Intensive Care Unit of the VEC in Toronto and a small animal practice in Bermuda. Back with us in her role as Office Manager since May 2017, Laura is committed to working to ensure that we are providing the best health care for every pet and the people who love them. Laura is a Registered Veterinary Technician with over 20 years of experience working with cats and dogs. She spends much of her free time volunteering with the Canadian Animal Assistance Team, helping to provide spays/neuters and veterinary care for communities in need in Canada and abroad. The love of her life is an orange and white cat named Caribou. Caroline started as a co-op student in October of 2016. When the co-op ended, she was offered a position. In her spare time, she enjoys the company of her chocolate Labrador Keji and her foster Newfoundland dogs. Caroline is currently in grade 12, hopes to one day be a Veterinarian. 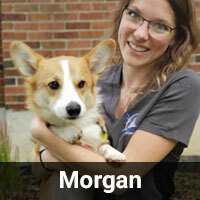 Meagan joined our team at Doncaster Animal Clinic in April of 2013. She graduated from the Social Service Work program at Seneca College in 2011. The following year, she attended Mohawk College to expand her knowledge and love for working with animals. In her spare time she enjoys spending time with friends and family but most importantly cuddling up with her two fur babies. A German Shepherd named Dakota and her cat Quasimodo. Kirsten has been a member of our team since April of 2017. Prior to joining our team, Kirsten graduated from the nursing program at Georgian College. Although Kirsten has always been very passionate about animals, she realized she needed to change her career path to pursue a fulfilling career with in the veterinary field after working closely with an RVT in the summer of 2016. Kirsten plans on returning to school to become a veterinary technician in the near future. 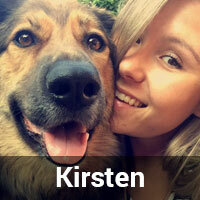 Kirsten lives at home with her family and her 2 dogs; Lexis, a Border Collie/German Shepherd mix and Ruby, a Miniature Australian Shepherd, as well as her 2 cats; Sawyer, a Bengal and Charlie, a Himalayan mix. Outside of work, Kirsten enjoys hiking various local trails with her dogs, relaxing outside by the pool, country concerts and hanging out with family and friends. Hyun joined the Doncaster team in October 2016 as an animal care attendant. She completed her Honours BSc. at the University of Toronto in mind of becoming a veterinarian one day. She has an undying love for animals and is grateful to work alongside the Doncaster team to assist in providing high quality medicine for patients. In her spare time, she enjoys spending time with her beloved toy poodle, Choco. Unfortunately she will be leaving our team later in the year to commence her veterinary medicine studies in Australia. Aline joined the Doncaster Team in February 2016 as an Animal Care Attendant. She grew up in Brazil and has always been around animals, since she was born. She has the dream of becoming a veterinarian and wishes to start vet school in the next following years. She tries to make our furry friends as happy and comfortable as she can when visiting our clinic. Since she arrived in Canada she got a pretty little Maltese mix called Emma, which brightens her life up every day. 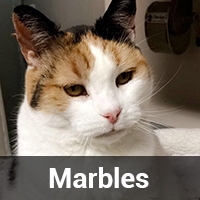 Miss Marbles is a calico female who LOVES belly rubs. She joined the family in July of 2016. She needed lots of TLC after joining our team but we took great care of her and now she is thriving. She can be found curled up in her bed most days watching the team member go about their business. 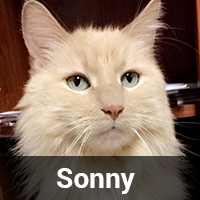 Sonny is a very affectionate buff long haired cat. He joined the family in January of 2016 after an aversion to his owner becoming pregnant. He adjusted well to the DAC life! He loves ear rubs and playing with feathers. He can be found lounging around on the desks of the team member in the back room preventing them from getting work done. Carmen Meyer began her veterinary career 10 years ago as a front office manager at an Animal Hospital in downtown Toronto. Soon thereafter, Carmen excelled in her position before being promoted to Practice Administrator and now she has recently joined our Doncaster Family as our Hospital Manager. Carmen, who enjoys the challenges of her new job, also enjoys spending time with her husband and two young children. When she’s not on an adventure with one of them, she enjoys quiet time reading a book. She also loves to travel and is looking to add more tales to her already vast repertoire of fun vacation stories. 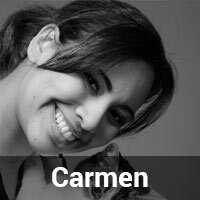 While she doesn’t currently have any pets, Carmen still has fond memories of her elderly cat and hopes to welcome a four legged friend into her household once her and her husband can agree on the feline vs. canine debate.